I told you guys I was coming up with a "pregnancy uniform" right? 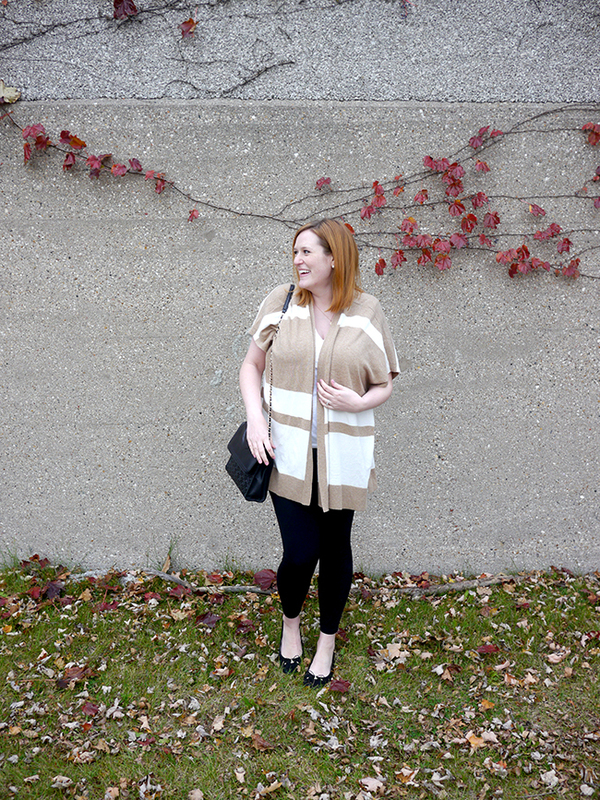 Well this is mainly what I've been wearing lately - a tee, leggings, and a cardigan. It's easy yet still looks really pulled together, is comfortable, and will grow with me through the end of February, when I can only assume I will be the size of a small whale. 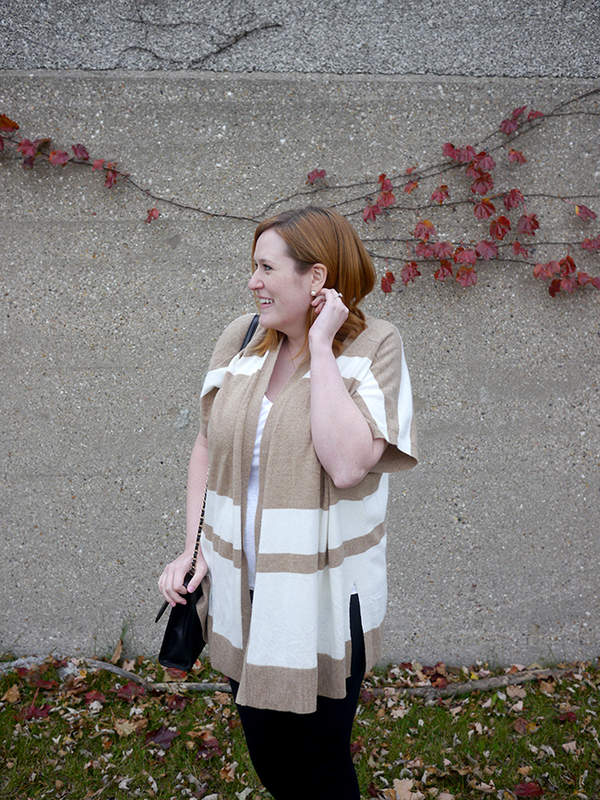 Plus, this cute striped cardigan will fit post-pregnancy too. 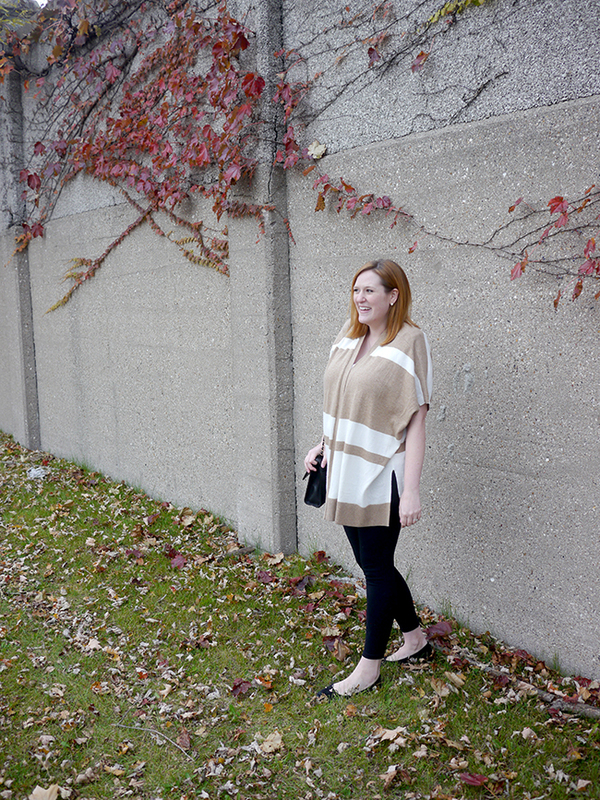 I'm all about the camel lately, paired with black and white it looks so sophisticated! 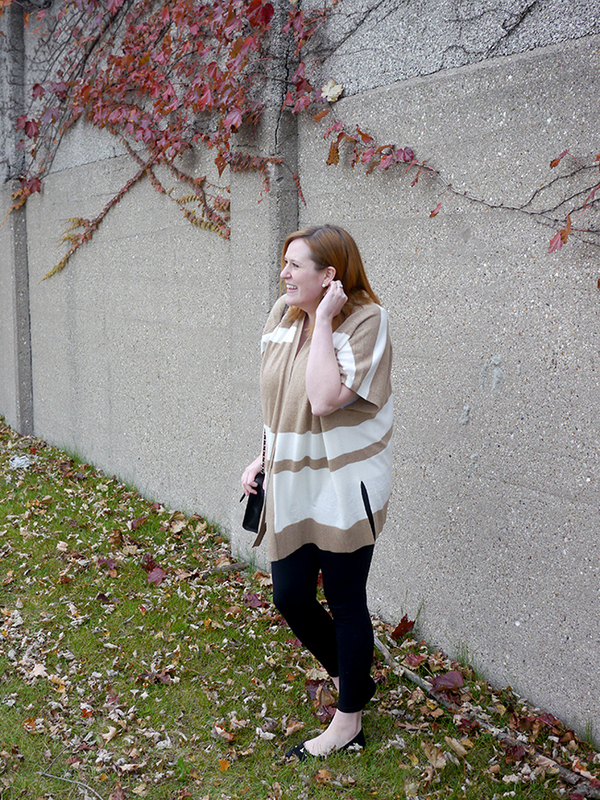 It's really pretty for fall, but it's also one of those colors you can really wear year-round. As far as how the pregnancy is going, well, it's a little harder to hide the bump these days!! Apparently my baby is the size of a cantaloupe, which frankly sounds bigger to me than most newborns haha. I really have hit the sweet spot of pregnancy though, I'm feeling kicks now which is fun but they aren't so strong that they really bother me yet, and the only real issue I'm dealing with is waking up a lot in the middle of the night to get comfortable. Oh and I'm also weirdly hoping I get pregnancy cravings - not just so that I can send Jeff out at night to find me something random, but because it seems like one of those rites of passage. Fingers crossed that things stay this good and easy!